Heavy game action, extreme weather conditions including heat, rain, ice and storms: Synthetic turf has a lot to contend with. It needs to be durable as well as sturdy. The adhesive technology needs to be up to the task when laying such turf. The complex ground structure of synthetic turf areas presents a very special challenge to the adhesive. Choosing a type of adhesive that is precisely matched to your artificial turf and the sporting activities is a must. STAUF has the right solution available for the entire spectrum of synthetic turf, no matter what you choose. 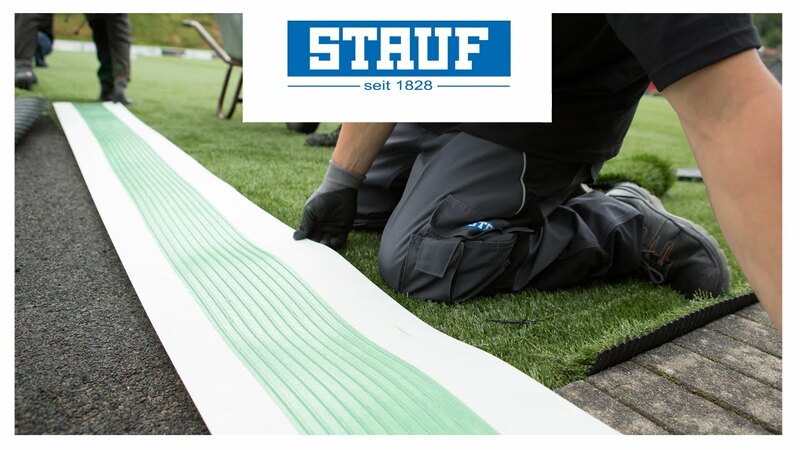 Adhesives and seaming tapes from STAUF SPORTS generate confidence in outdoor use - whether in the football stadium or on the hockey field - with their extremely good adhesion and spreading properties. Even at low temperatures. STAUF products retain their durability even at high temperatures because they are optimally coordinated and adhere perfectly even in extreme humidity. STAUF adhesives for synthetic turf are environmentally friendly and deliver what they promise over their long lifespan. This provides - safety and security for sport facility builders and operators alike.